“Oh, taste and see that the Lord is good! Blessed is the man who takes refuge in him!” (Ps. 34:8). Our study of the heroes from church history concludes today with a look at the finest philosopher and theologian that the United States has ever produced. Jonathan Edwards, one of the leaders of the First Great Awakening, was a pastor who articulated and lived a sound biblical, pastoral, and Reformed theology. Unfortunately, Jonathan Edwards, much like John Calvin, has often been unfairly represented. This is due to his sermon “Sinners in the Hands of an Angry God,” which contains many graphic depictions of the torment deserved by unrepentant sinners in hell. However, to focus only on the descriptions of hell is to miss the central point of this work. For in fact, this sermon emphasizes the grace and mercy of God who, if we are in Christ, spares us the punishment we deserve. Today’s passage captures the themes that were most widely discussed by Edwards in his writings. Edwards talked about the sweetness and excellency of Jesus more than anything else. He understood God’s justice and, consequently, understood Christ’s beauty. Edwards was born in 1703 to a Harvard-educated minister and a deeply pious mother. An intelligent child, at thirteen he wrote an essay on the behavior of the Balloon Spider that was well regarded even after scientists began studying this species two hundred years later. While he was a student at Yale University, Edwards devoured the writings of John Locke, one of the greatest English philosophers who ever lived. At the age of 26, Edwards was ordained to be the assistant pastor at a Congregational church in North Hampton, Massachusetts. It was at this church in the years 1734–35 that revival broke out. It soon spread throughout the northeast and resulted in the moral, religious, and political transformation of society. After twenty-three years, Edwards was ousted by his congregation largely due to unsubstantiated rumors. Though these rumors were later demonstrated to be lies, Edwards did not return to the church but instead served as a missionary to the American Indians for eight years. 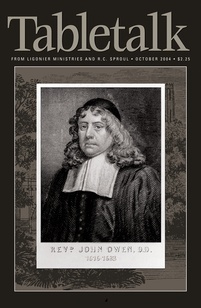 Edwards died in 1758 as the result of a smallpox inoculation, but it was not before he composed a number of works that continue to have a tremendous theological impact on the church. The greatest legacy that Edwards has left the church is his teachings on the perfect justice of God and the unsurpassable sweetness of Christ. Take some time to consider today just how much punishment your sins deserve and how gracious God has been to you in Christ. With Bible in hand, meditate on the sweetness of Christ.